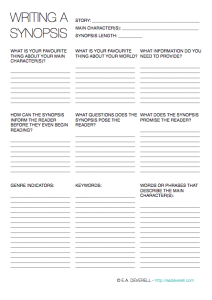 Writing a synopsis can be a great way to get really clear about the story you’re telling. 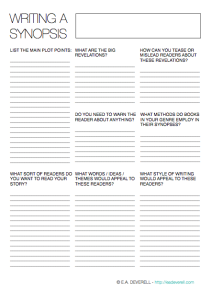 In the One Page Novel Course, I suggest it as the next step after brainstorming, but these worksheets can help even if you’ve already finished your book and are getting ready to publish it. 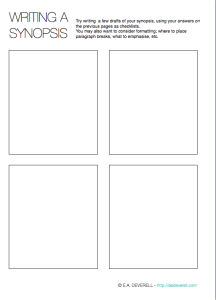 You might like to use these in conjunction with the Suspense Writing Worksheet. Enjoy!